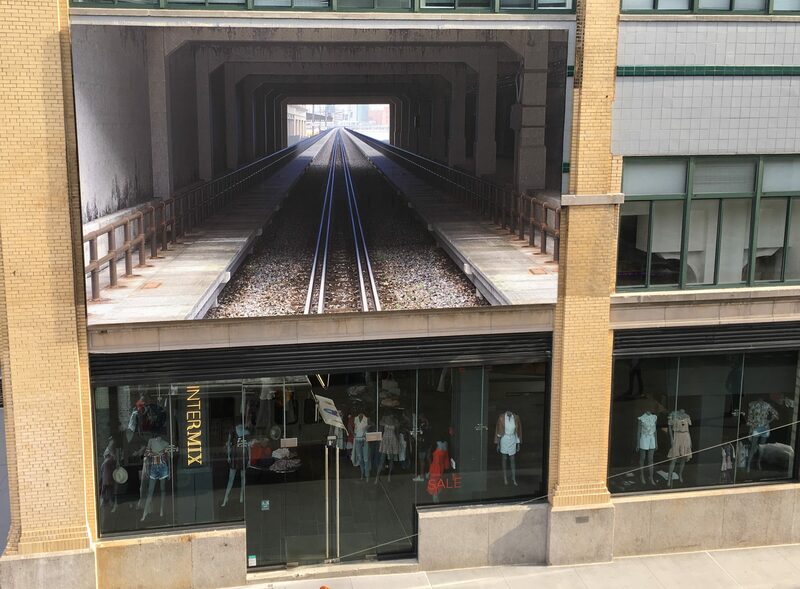 If you stroll all the way to south end of the High Line to where the park terminates at Gansevoort Street in the meatpacking district, you may look across and consider that someone has blasted a passageway right through the building. But, that is an illusion. A new site-specific work by Korean artist Do Ho Suh (b. 1962) visually reconnects the building facade of 95 Horatio Street with the elevated railway that once occupied the neighborhood. 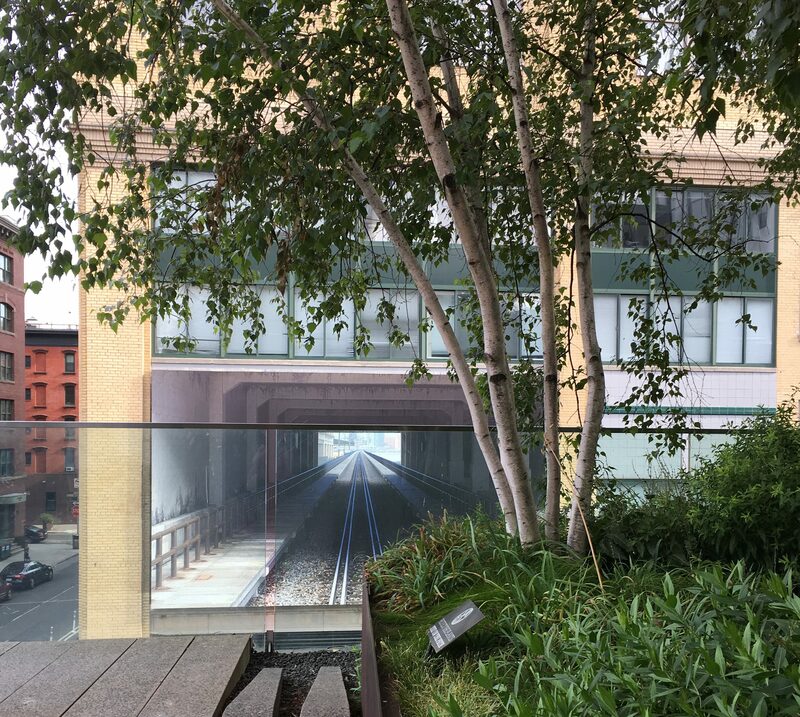 Although today the High Line ends at Gansevoort Street, here Suh imagines what the vista might have looked like in the days when train tracks continued to run through buildings down into SoHo. 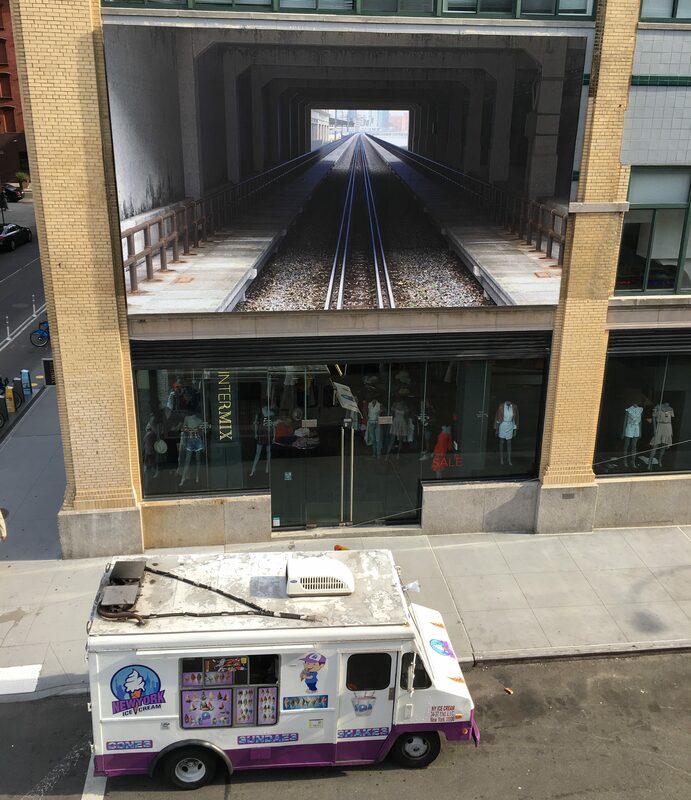 95 Horatio Street previously housed the Manhattan Refrigerator Company, which had a private siding for the railway, allowing direct access to St. John’s Terminal further downtown. The digitally rendered image, titled 95 Horatio Street, was just unveiled on June 26th, 2017, on the southwest corner of Gansevoort and Washington Streets. 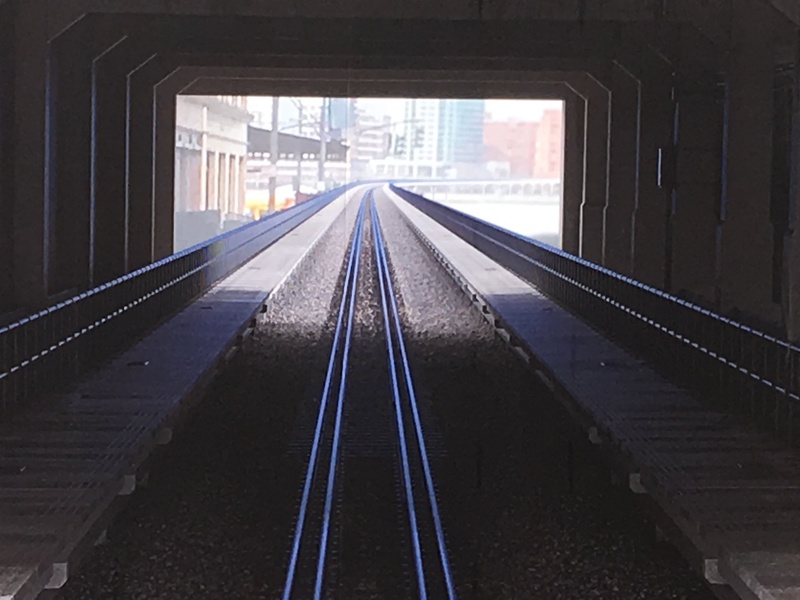 Suh is interested in the emotional and psychological significance of architectural space: its relation to personal memory and the collapse of time are themes he explores across media. His fabric recreations of former homes, meticulous rubbings of the interior of his New York apartment, and drawings of mobile and anthropomorphic architectural structures are evocative meditations on the definition of home, and how this definition is affected by displacement and context. 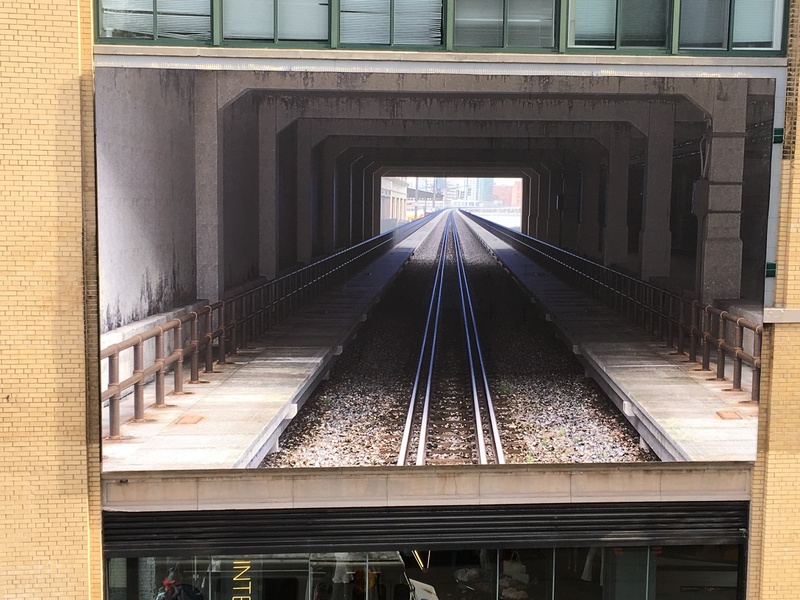 95 Horatio Street is the sixth work to be presented in this series of public art installations, organized by the Whitney Museum in partnership with TF Cornerstone and High Line Art. This installation is organized by curatorial assistant Christie Mitchell. Do Ho Suh: 95 Horatio Street will be on Exhibit For An As-Yet-Undetermined Period of Time.